Being a Bloke. 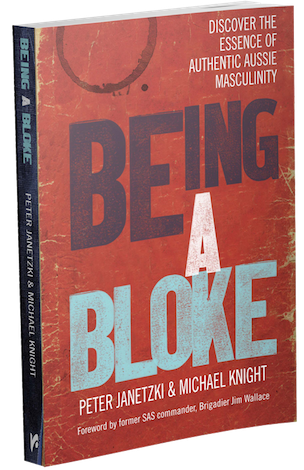 It’s for blokes – Aussie men and those who live with them, work with them, love them and raise them. It’s a quick read, but the impact could last a lifetime. Our regular newsletter is one of many ways we strive to help people invest in themselves. © 2019 Peter Janetzki and Associates.